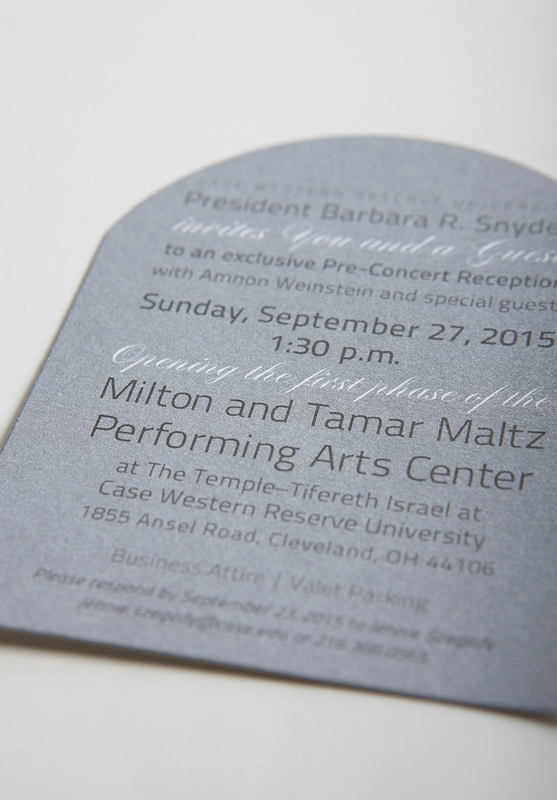 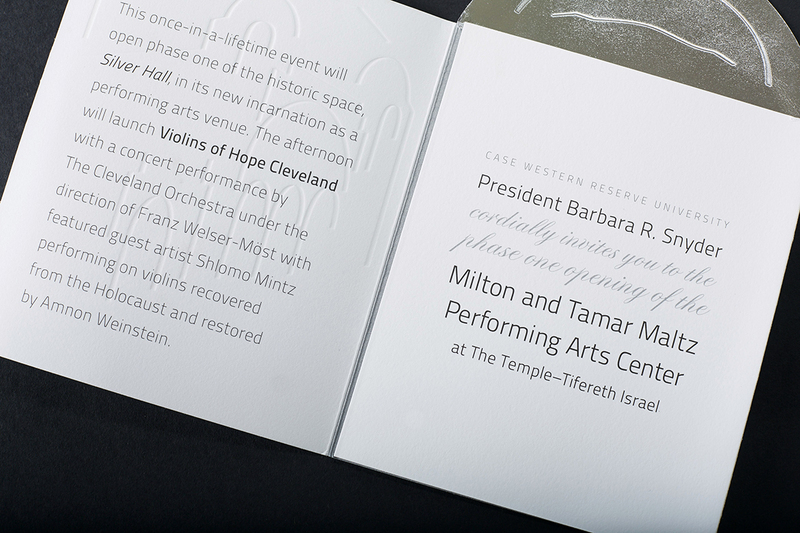 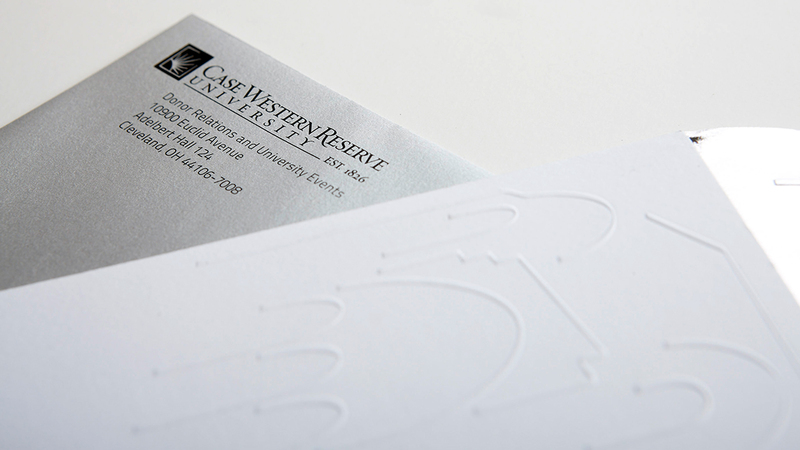 The components are a branded invitation package for the opening of the Milton and Tamar Maltz Performing Arts Center at The Temple–Tifereth Israel at Case Western Reserve University. 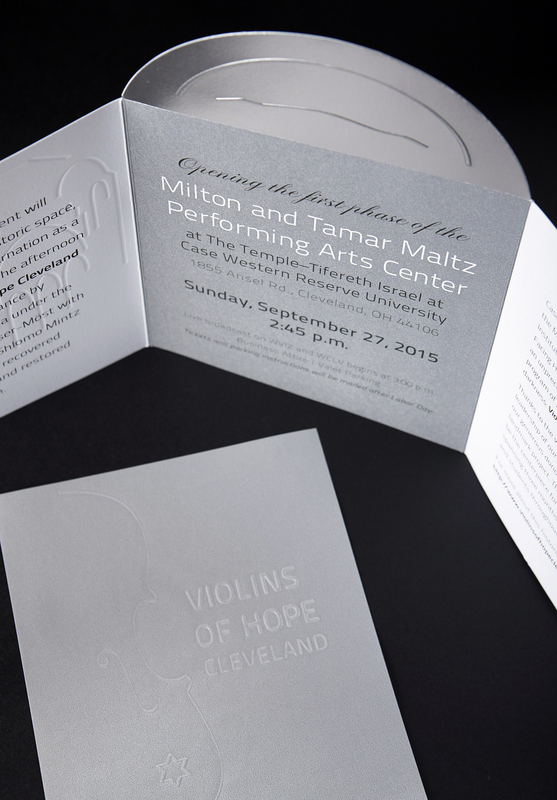 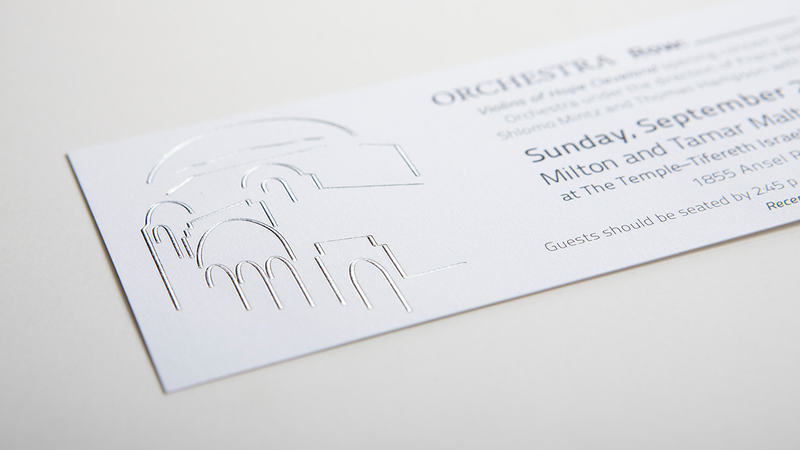 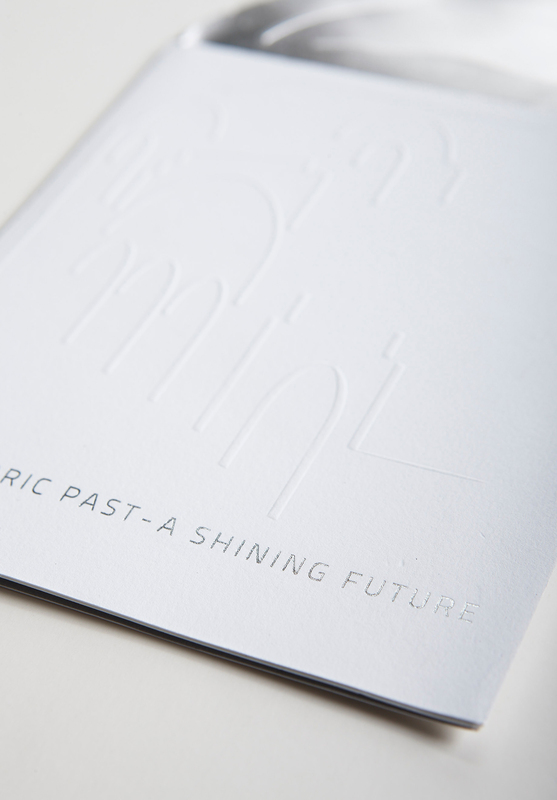 Every piece exudes elegance and a direct connection to the building history with silver foil curve to resemble the dome, embossed new logo identity and silver printing for the gleaming lights inside the building, throughout the invitation components. 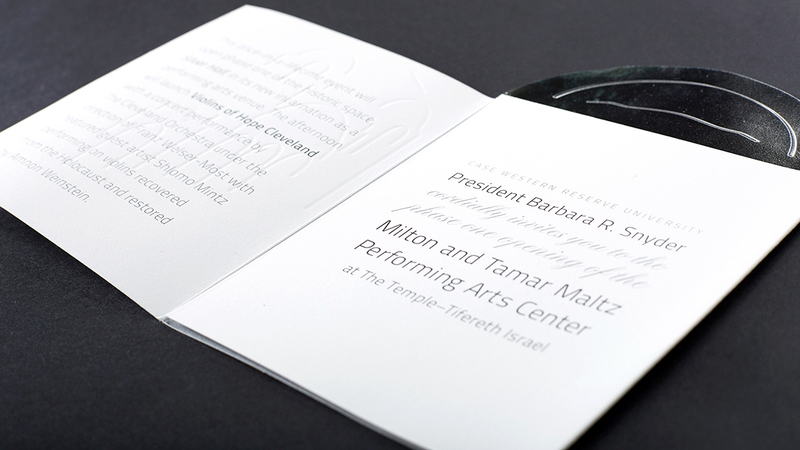 No expense was spared for the opening to be a magical and memorable evening.